Royalty-free stock illustration of a cowboy wearing boots and a hat preparing to throw the lasso. 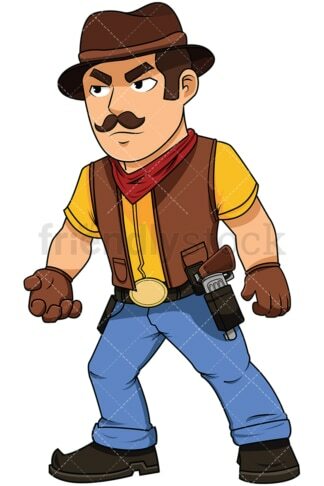 Royalty-free stock illustration of a cowboy wearing boots, a hat, and a gun holster attached to his belt, and looking like getting ready to start a quarrel. Royalty-free stock illustration of a cowboy wearing boots and a hat and carrying a gun in his holster, raising his hands up in the air and surrendering. 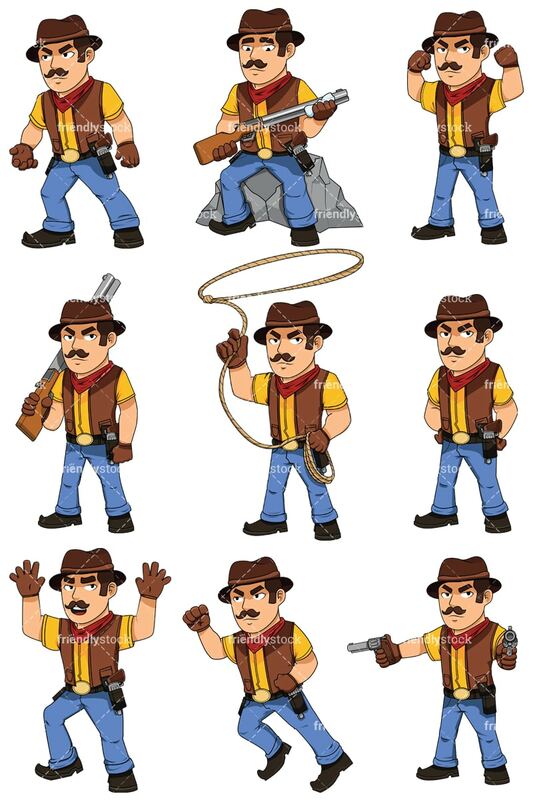 Royalty-free stock illustration of a cowboy wearing boots and a hat and pointing his guns at opposite directions, looking serious and determined. 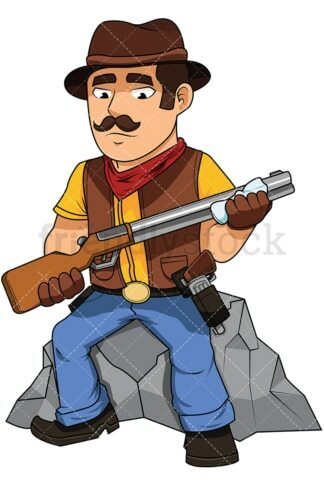 Royalty-free stock illustration of a cowboy wearing boots and a hat, sitting on a rock and doing some shotgun maintenance while also carrying a pistol inside a holster that is attached to his belt. Royalty-free stock illustration of a cowboy wearing boots and a hat, holding a shotgun while also carrying a pistol in his hoster. 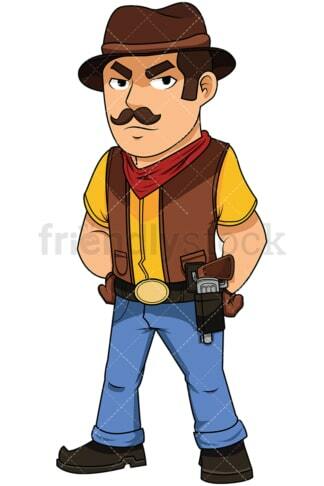 Royalty-free stock illustration of a cowboy wearing boots, a hat, and carrying a gun in his holster, flexing his arms. Oh, so strong! Royalty-free stock illustration of a cowboy wearing boots and a hat, standing with a serious look on its face. 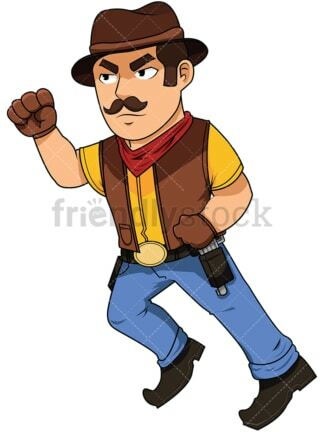 Royalty-free stock illustration of a cowboy wearing boots, a hat, and carrying a gun in his holster, running towards someone as if he is getting ready to start a fist fight.